I hope this finds everyone keeping well. I did attend the Dalia Lama’s Prayer Ceremony held in Christchurch on the 8th June. His Holiness talked about how he had to flee his home, his family, his friends and left his little dog behind all that he loved was taken from him but we learn from this, learn inner strength, learn ways to go forward and we must love ourselves, find the peace in ourselves. The prayer session was beautiful and healing for the people that were attending. 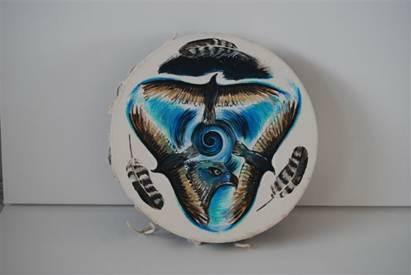 I have another Shaman’s Drum lesson this coming week; also I’m going for my Teachers Certification for Diana Cooper School which means I will be attending 4 weekend workshops over the next 5 months. Family is keeping well, one of the hens is sitting on eggs – Poppy daughter is getting excited that we might have baby chickens soon. I mentioned last newsletter about the Online Show that I will be regular guest on. 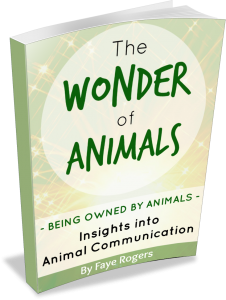 On the 21st July – will be an introduction about me, info about Animal Communication – Phyllis Brown is an amazing host, David cameraman is brilliant. So far I have been involved in 3 filming; two filmings we have visited animals in their home. I am looking forward to visiting more animals in person – please let me know if you are in Canterbury region and would like your own animals to be involved in future online shows. Also in time I will be sharing messages from the species. These shows can be viewed by the public whenever the public wishes to view. I have spent Saturday morning watching the online shows that are already online, Phyllis & Linda your specialness shines. Little snippet from Phyllis “I decided to develop a private members area as a part of my new Live Ustream TV channel in addition to my main Spirit Talk TV channel. Members will have access to spiritual tools, workshop material amongst other things. I wanted to create a space that gave people a feeling of being part of my new interactive Ustream members only TV channel, where people can learn and grow at their own pace, within a safe and secure environment.” There will be Weekly Meditations, Inspirational Messages and Workshops – the first workshop starts 18th July 7.30 pm and is an Angel Awareness 10 week course. All episodes of the workshops will be accessible for members at a time that suits or members can revisit if they wish to deepen their understanding, members can also ask questions of Phyllis whilst the shows are streaming. To find out more visit www.phyllisbrown.co.nz I am a member and so looking forward to receiving weekly the various teachings that Phyllis will share. Please enjoy this video clip………. Yoda possessed a great knowledge in how to use ‘the Force’. He was capable of great acts of telekinesis, clairvoyance and could tap into his intuition at will……Yoda loved to share his wisdom. Here are 10 of his quotes………..